Rita Owusu-Amankwa, a former programme manager of the National Programme for the Elimination of Child Labour (NPECLC) says the committee set up by Enoch Teye Mensah, Minister of Employment and Social Welfare to investigate operations of the programme was “a mere witch-hunting exercise” with the sole purpose of “tarnishing” her hard won reputation. Mr. ET Mensah on April 22, 2010 inaugurated a five-member committee to investigate administrative, financial and technical operations of Aid for Change (AFC) Ghana an NGO, in relation to the NPECLC programme as well as the roles played by Mrs. Owusu-Amankwa and Vincent Frimpong Manu (AFC) in the effort to eliminate child labour in the cocoa industry between June 9, 2009 and March 1, 2010. The composition of the committee which was given 10 days to complete its work but ended up spending 40 days had Dr. Francis Dakura (NDC MP for Jirapa) as its chairman with Colonel Rtd. Theophilus Tawiah (NDC), Eric Osei Afriyie (Internal Auditor at the Ministry), Edmund Siaw Akugbey (Personal Assistant to ET Mensah) and one Johnson Akuamoah Asiedu as members. After completing its work, the committee whose membership is made up of only NDC sympathizers made findings that were materially different from the terms of reference for which it was set up. Even though Mrs. Owusu-Amankwa and Mr. Manu were clearly the subject-matter of the committee’s investigations per the terms of reference, it did not deem it fit to furnish them with copies of the report; yet the ministry was able to spread the report among all stakeholders including development partners. Responding to the report through her solicitors (Kulendi @ Law), Mrs. Owusu-Amankwa said the whole matter started with one Sam Atukwei, the current Community-based Child Labour Monitoring System Officer of the NPECLC doubling as the Deputy Regional Secretary of NDC who first threatened to ensure that all perceived to be members of the NPP including Mrs. Owusu-Amankwa were removed from the programme. 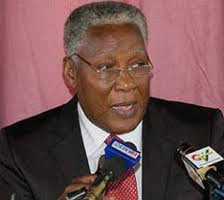 “The committee was careful in basing its findings on matters it found convenient to satisfy its avowed aim of discrediting AFC Ghana and refused to report on the technical operations of the NGO and the tremendous impact it had made on children and the communities where it operated. She said the minister’s capitalization of every opportunity to make false statements to the effect that it was her bad deeds that almost resulted in Ghana being blacklisted by the United States on the issue of child labour in the cocoa industry and that it took his (Minister’s) personal intervention to prevent it is erroneous because the Minister was not even in office when the report was released.